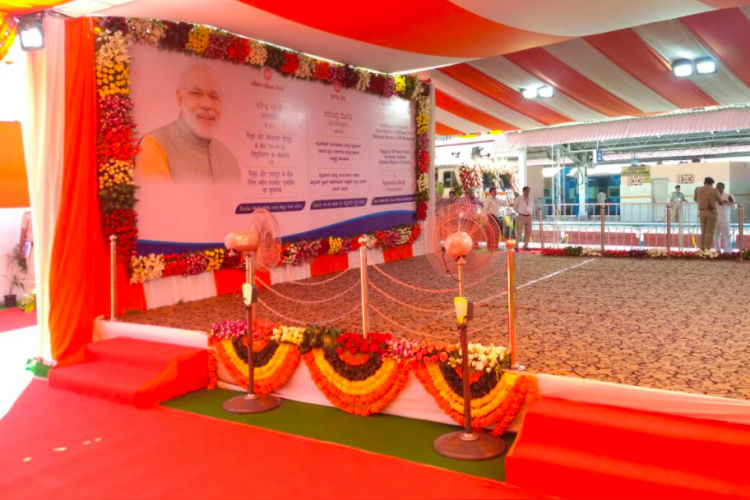 The "Palace Queen Humsafar Express" between Mysuru and Udaipur has been flagged off at Mysuru railway station by PM Modi during his two-day visit to Karnataka. In a poll-bound Karnataka, PM Modi will participate in various public functions. Humsafar Express is going to connect 5 Western Indian states including Rajasthan, MP, Gujarat, Maharashtra and Karnataka and will be equipped with LED display, CCTV, USB charging points.